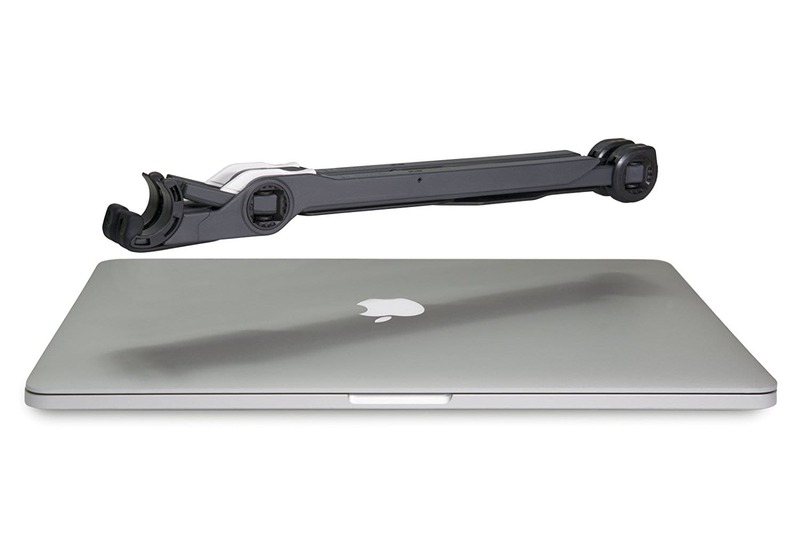 Here, we’ll help you find the best portable laptop stand for YOUR needs. 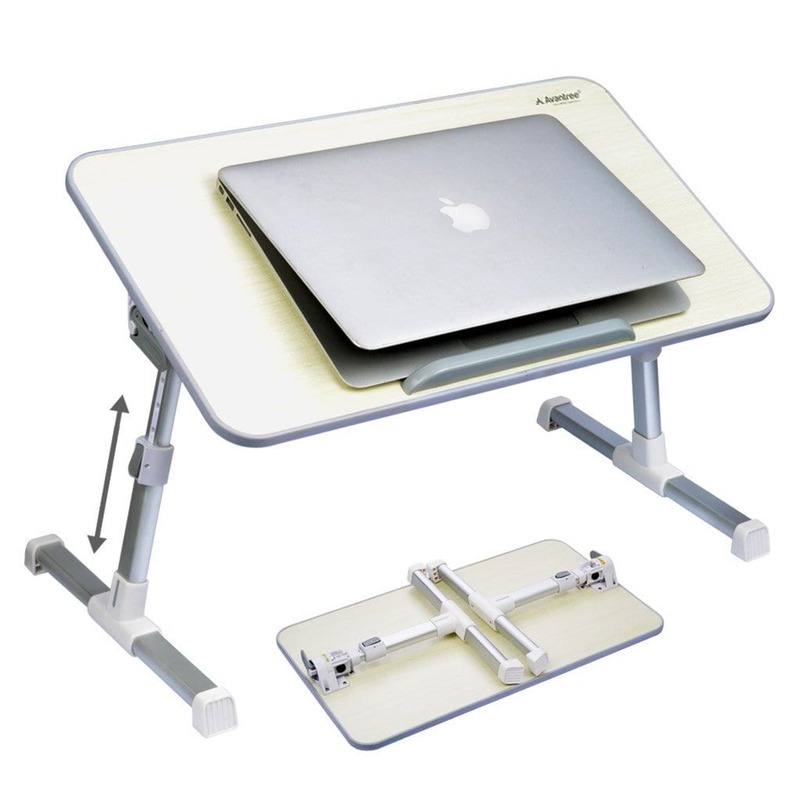 If you find yourself working many hours on your laptop or MacBook, then it is essential that you get an ergonomic and adjustable laptop stand or table to promote your own health and keep you comfortable at all times. 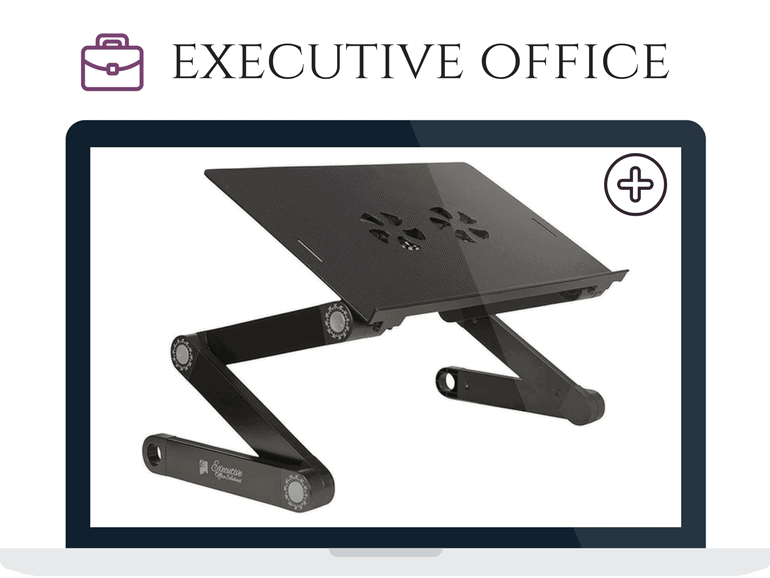 we are committed to bringing to you some of the best portable laptop stands, desks, and tables right from the world’s largest online retailer: Amazon. I’ve personally gone over dozens of stands and laptop desks on Amazon and chosen only a selected few that I’ve felt are the most relevant and noteworthy stands you should know about. On top of that, I wrote a comprehensive, transparent, and complete product review on each laptop stand I picked, I highlighted each stand’s advantages, weak points, who is it for, with my conclusion at the end, a verdict, and my own rating. See all the reviews on our blog here. The Many Features of the Laptop Stand. 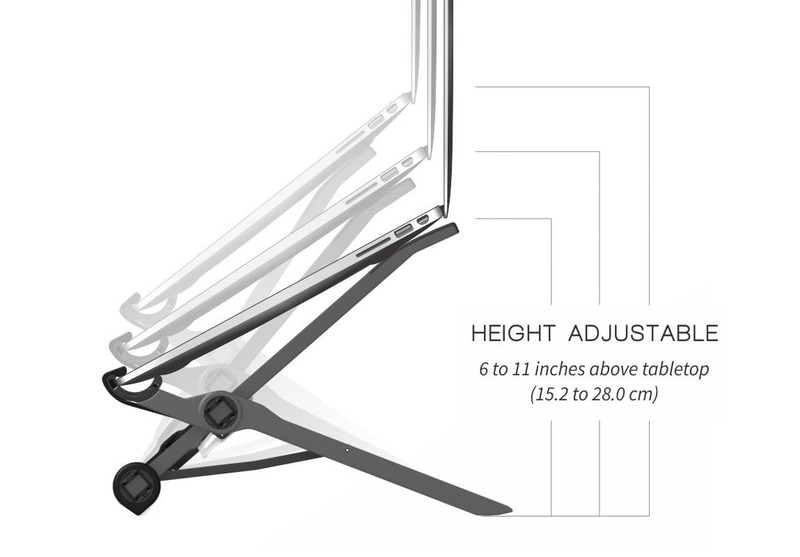 A portable laptop stand should be lightweight, foldable, and quick to assemble. 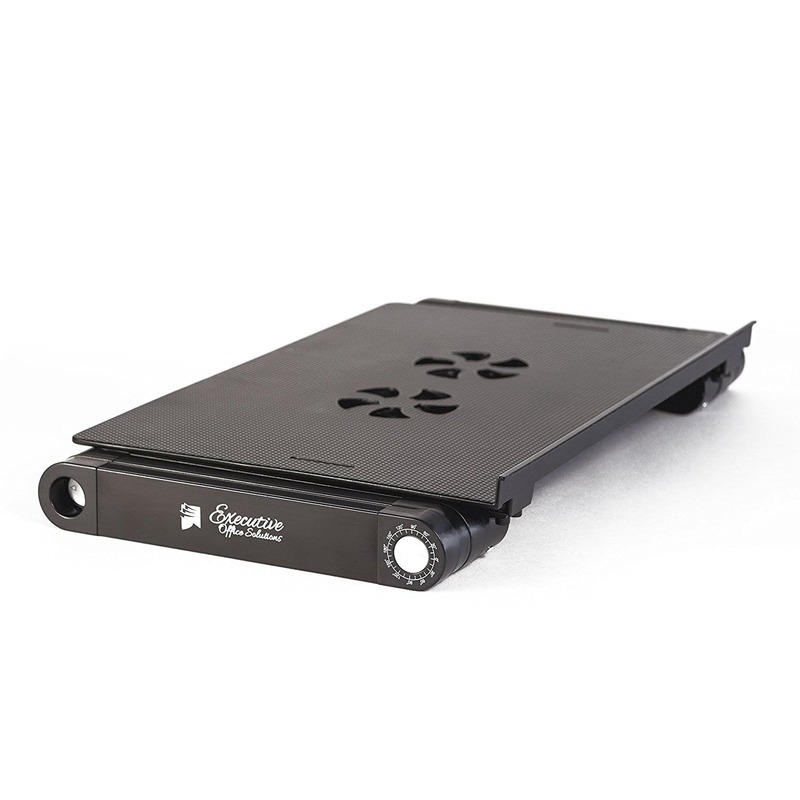 It shouldn't weigh more than 6 - 8 pounds except in some situations like with the Samson LTS50, where it's designed to be more sturdy and stable - While still offering convenient portability - for more aggressive environments, more particularly for studio work and live performances for artists, DJs, performers, and so on. The most portable laptop stand I've ever seen is a stand by the name Roost. 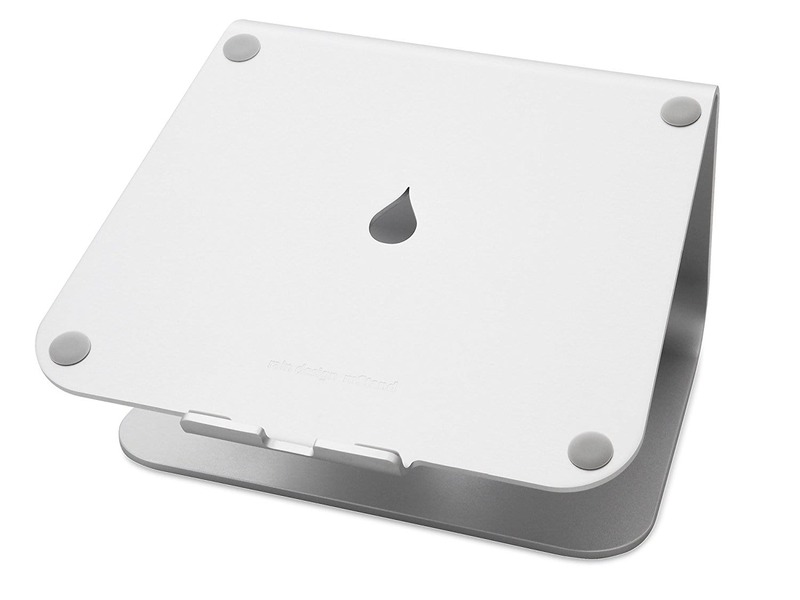 The Roost stand weights only around 0.2 pounds! It's very easily and quickly foldable (In a matter of seconds). 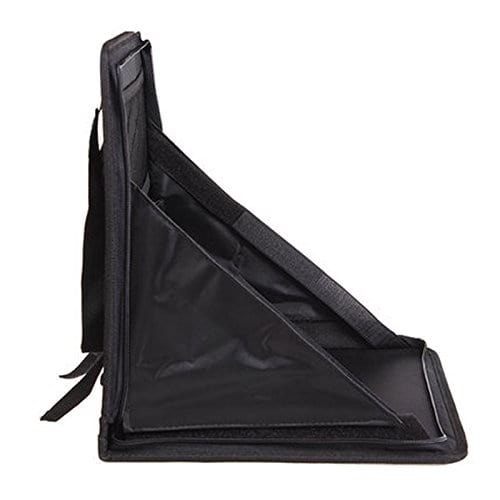 When folded, it measures around 13 inches in length only and can fit and sustain most laptops and Mac's models quite comfortably. The only downfall of this stand, the way I see it, is that it's a little bit expensive (~$70). But if you can afford it, it's worth the price. However, if you find the roost is a bit expensive for you, there are quite some alternatives available to you. Ergonomy is comfort and efficiency in the working environment. 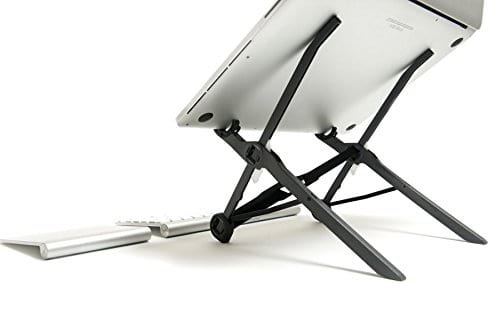 And a good portable laptop stand should offer exactly that first and foremost. Ergonomy is very important for both your health and creativity. If you spend more than an hour a day working on your laptop, your lower back, neck, and posture are at risk of getting damaged over time if you don't have a proper ergonomic working environment. 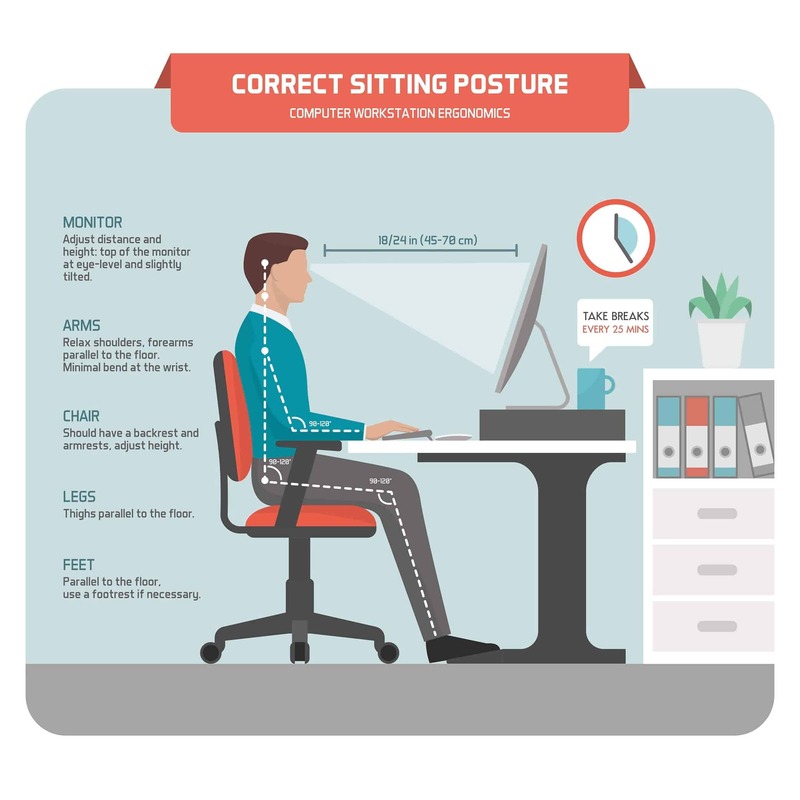 By doing this you will ensure that your posture will stay intact even when working several consecutive hours each day. Tilting of the surface is also another ergonomic feature. Tilting will allow you to type on the keyboard more healthily and efficient. Adjusting the angle of your wrists for typing will save you a lot of pain and stiffness, and sometimes even real damage if you type extensively for writing or gaming purposes over a long period of time. They both offer a great deal of ergonomy through several tilting angles, good levels of height adjustment, lightweight and portable so you can easily carry around in a suitcase or a backpack, and there are lots of space between the legs for you to easily put on your lap if you wish to work on the floor, the sofa, or even on bed if that's something you like to do. These are good models that offer lots of conveniences, comfort, and ergonomy for maximum working efficiency. 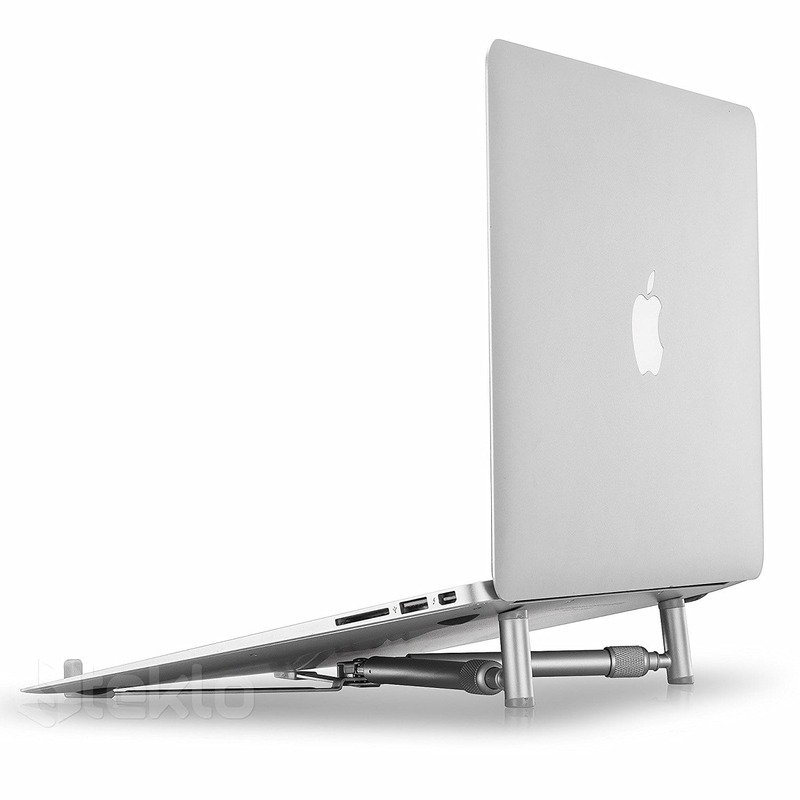 Of course you want your laptop stand or disk to be sturdy. You want it to be stable and secure enough for you to trust your precious and expensive equipment on it. The thing is, the more it becomes more sturdy, the less it becomes portable. Because in order to produce a sturdy device you need to use some reliable and heavy material in your design. But there's a sweet spot. Notice how significantly heavier those stands are than the most portable ones because much heavier and sturdier material have been used in their construction to make them less wobbly and more secure. 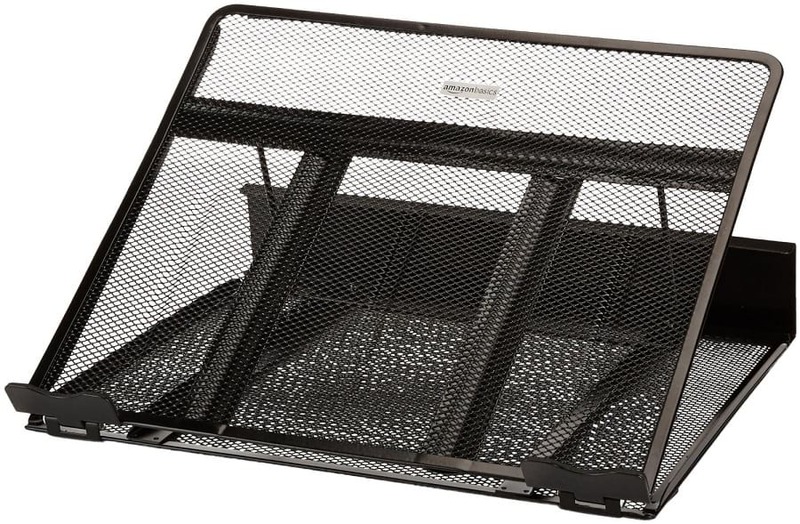 Ventilated laptop stands are good for people who have some heavy software installed on their laptops, such as graphics software, audio software, video editing software, gaming, and etc. And the reason being, these "heavy" software tend to overload even the best laptops and cause them to overheat, and thus, causing system crashes, slower operation, and other annoying and unwanted behaviors all related to the overheating of the device. However, with that said, external ventilation methods are still optional and the manufacturer of the laptop should guarantee normal performance even without it. It becomes more of a problem when the laptop ages and thus its components become less reliable and do not operate in their full potential compared to their new condition. Hence the need arises for the designing of vented laptop stands in order to give the device a better air flow and thus it overheats less. If you fall into that category of people who use heavy software with a not-so-new laptop, then seriously consider buying a ventilated laptop stand. 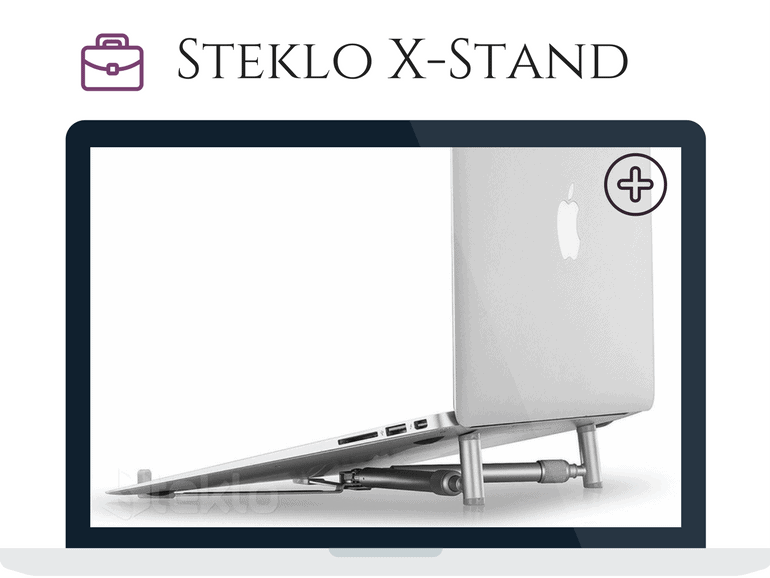 The Steklo stand below is extremely lightweight and uses an "open" design technique to allow the laptop maximum air flow efficiency. 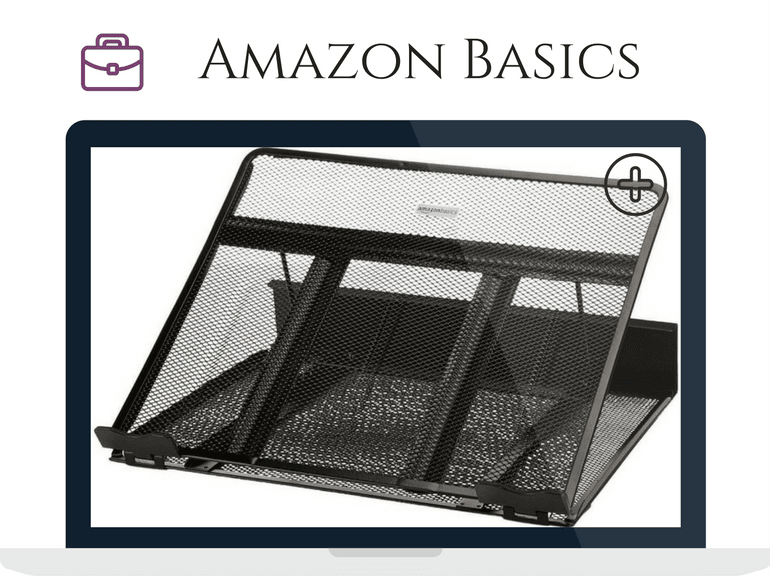 The AmazonBasics laptop stand acts both as a vented surface AND heatsink, providing great ventilation for your laptop or MacBook. Sometimes, for special occasions you need to bring special equipment. And that's applicable also to your own working environment and office. 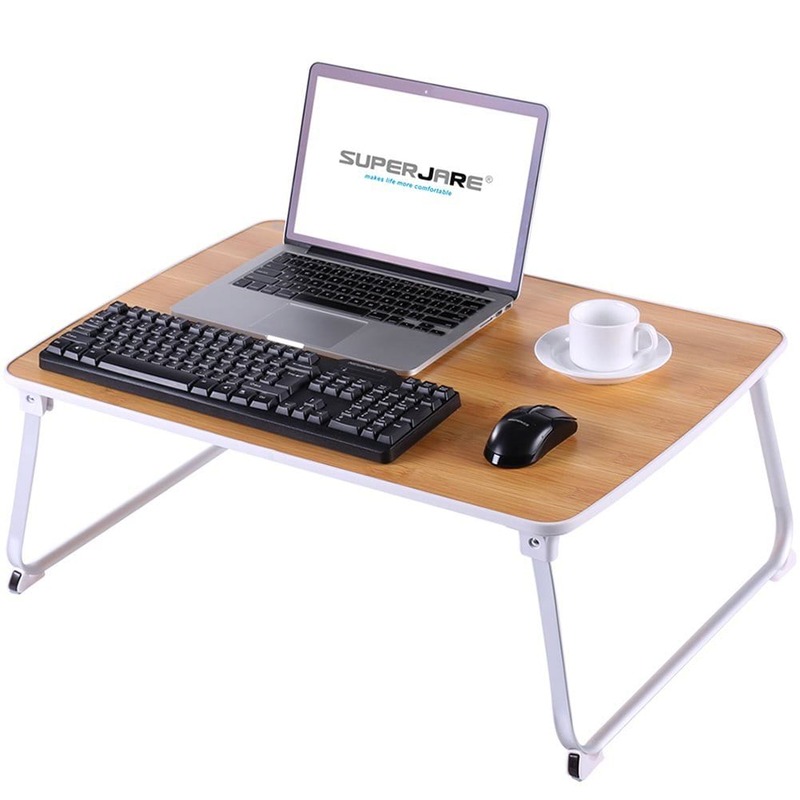 Special use laptop stands are ones that are situational or are ideal in some situations more than others. 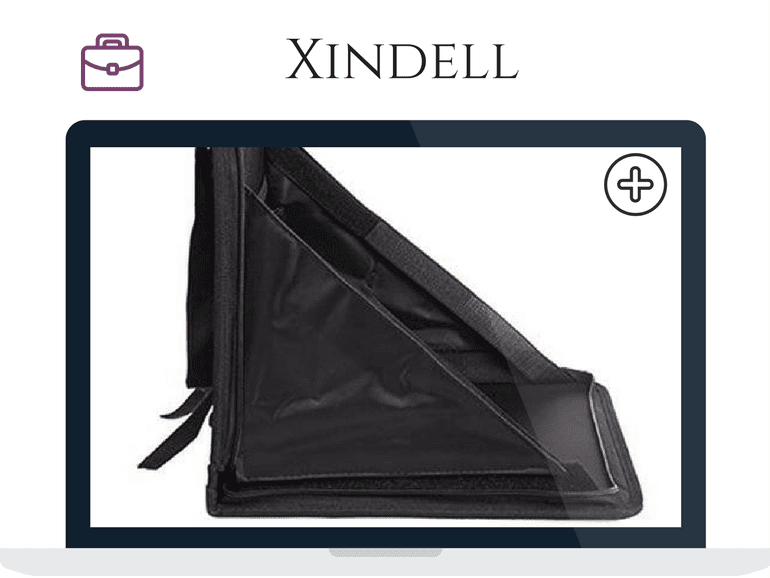 For example, you have a special laptop stand for the car called Xindell, it has velcros for easy installation on the back of your car's front seat, and will also allow for length adjustment for maximum comfort. The Samson LTS50 is also a special one, it weighs around 10 pounds (Heavier than normal), but it has a sturdy steel-made tripod base that is designed to hold especially heavy laptops and projectors on a high level (Standing) for studio and live performances, so it's not a "normal" stand per se, but rather a portable stand for your portable devices designed for safety and stability in more aggressive environments. 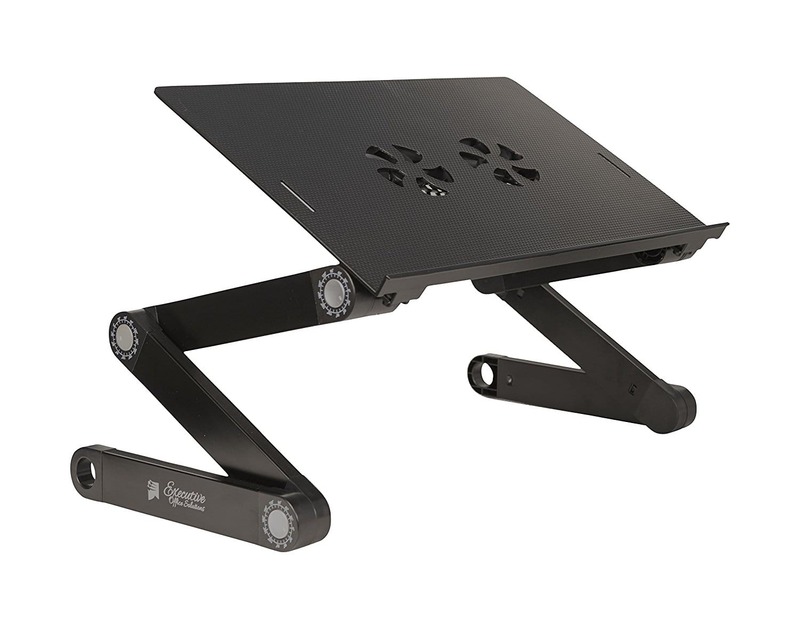 If you're an artist that spends most of his/her time in the studio or on the stage, or you're a speaker or entrepreneur that use the laptop a lot for on-stage presentations and need a stable stand for your computer, then the Samson stand will fit your needs perfectly. The Xindell car seat laptop stand below is used in your car only to provide comfort for anyone sitting in the back seat of your car. If you're a DJ, a speaker, an entrepreneur, work in a studio, the Samson LTS50 is a good fit for your working needs. This is the Best Place to Pick the Perfect Stand for your Laptop. Amazon is known for its FREE/CHEAP and FAST shipping service. You are protected by Amazon AND the seller’s warranty. See full, real reviews made by us AND Amazon’s customers. I never put my name behind a product I don’t trust. My reputation is paramount. On top of that, you are backed by my own professional opinion and analysis of each stand in the reviews that I write, so the chances that you pick the wrong table are close to non-existence. Wondering what to pick? Tell me who you are! 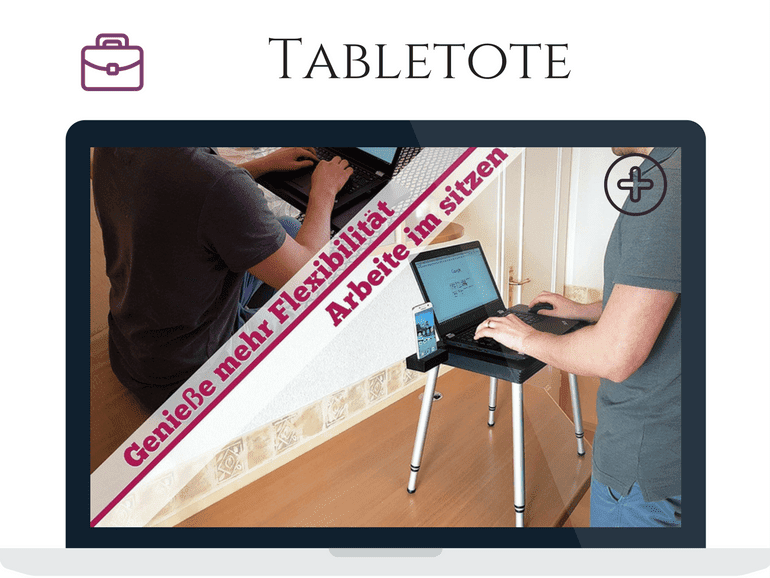 The Best Portable Laptop Table for Home Use. 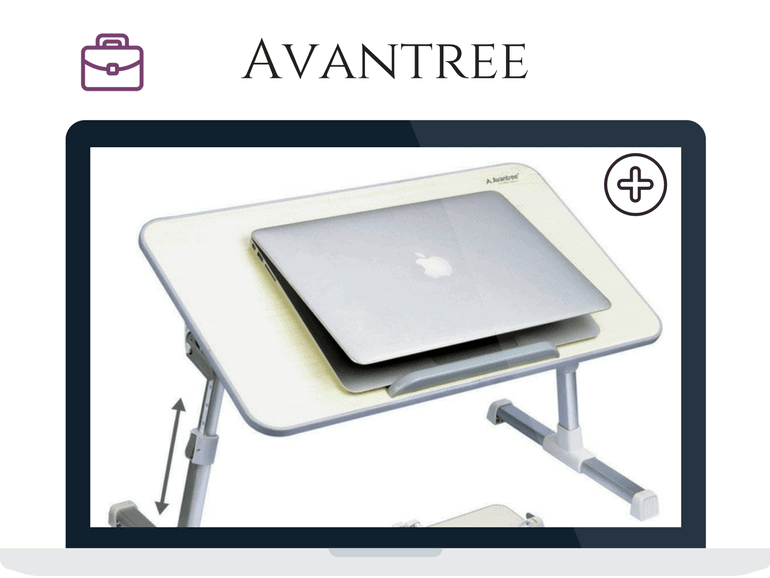 Avantree is easily portable, comfortable to operate on, ergonomic, and just an overall outstanding home laptop stand. What can we say about this amazing stand? I just love it. I guess I'm a bit biased about it. It got a very nice wood grain surface that I'm in love in, AND it's environmentally friendly, you can adjust its height from 9.4" to 12.6" AND tilt the surface, it's light and sturdy at the same time, and the best part about it is that it's wide open from underneath, meaning you can take it and place it on your lap while on the sofa or in bed and work anywhere you feel comfortable. It's not vented and does not offer any kind of additional external ventilation, but most laptops nowadays don't require that anyway, unless you're constantly running some heavy games or graphics software that power drains your device's microprocessor. The Best Laptop Stand for Students. The roost will feel the most casual yet versatile portable laptop stand for every college, grad, and university student with a laptop. So you're a student, and you need a comfortable, ergonomic desk for your laptop to help you study healthier, and for longer hours, without feeling exhausted. What you need is a portable, lightweight, small, folded quickly, with tilting and height adjustment features. You want to eliminate every fraction possible between you and your studies, so you want to make it as easy as humanly possible for you to grab your laptop and portable desk everywhere, anytime you want, and just focus on your studies while doing it in a healthy manner. The first stand that comes to my mind for this situation is no doubt the Roost. The Best Portable Stand for Gaming/Heavy Software. The EOS laptop stand is an overall great stand. Its steel body and vented surface make it a great ventilated stand, and thus ideal to use while gaming or working on heavy software. This is another product that I love. It got all of Avantree's features, plus it's vented AND comes with two external fans to cool off your laptop. What can I say about this, it's extremely versatile, stable, ergonomic, and you can put it on your lap on bed and work there as long as you want. Gaming and using heavy software eats a lot of power and memory from your computer, and cause it to heat. Over time, and when your laptop or Mac gets older, it will naturally start requiring more cooling because the hardware components stop performing as they used to (This is a normal thing in every electronic equipment) and thus their efficiency gets lower, and produce more heat for the same amount of work done. The EOS stand offers ventilation and portability at the same time, and it's very ergonomic. Great for any gamer! The Best Portable Stand for Studio/Live Acts. 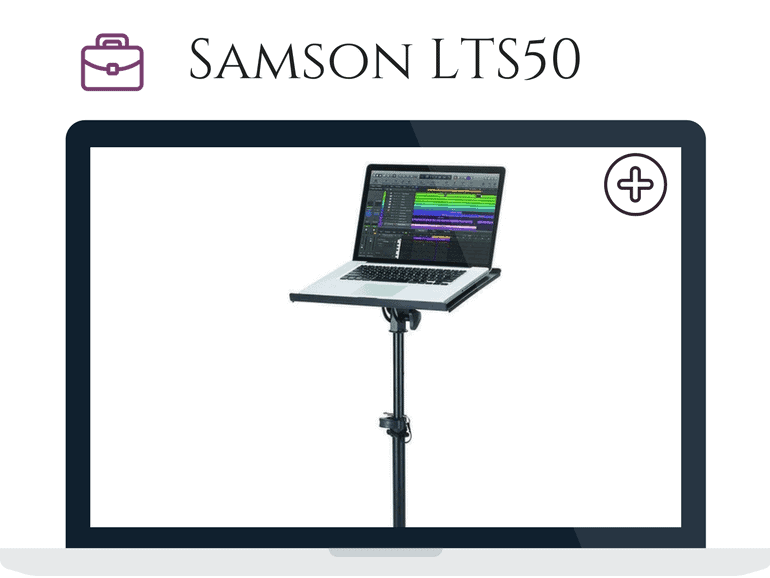 The Samson LTS50 is a great stand to trust your laptop, Mac, and projector on while working in your studio or live. Here's a stand that you'll love if most of your work is done either in a studio or live. Many of performers and artists have reported how awesome this stand is, and how stable and secure it is. 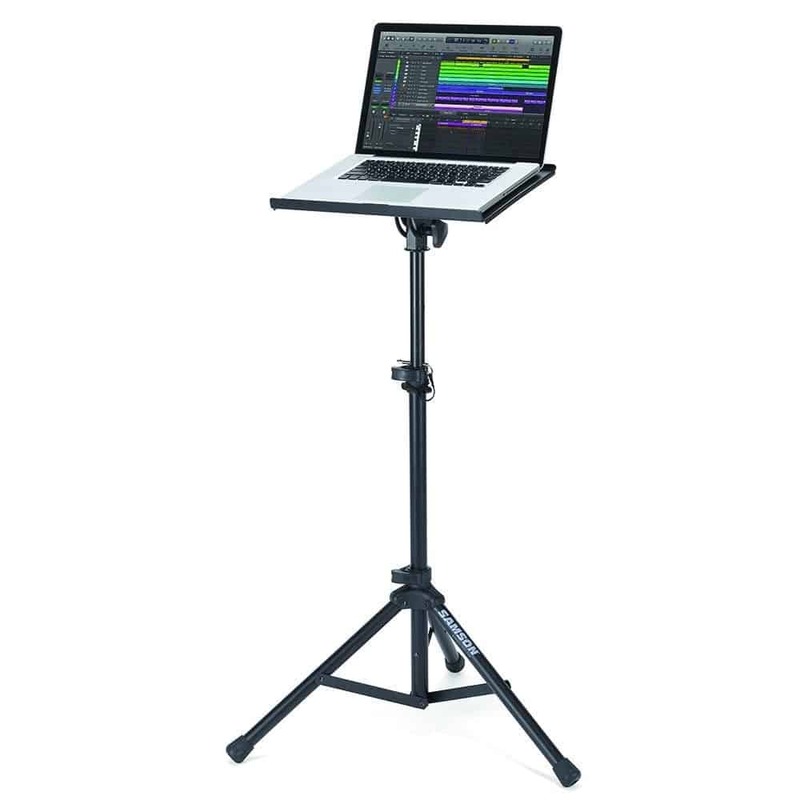 You probably have lots of stuff in your studio and it would be nice to have a small yet reliable stand only for your laptop to help free up some space inside your studio, give you the possibility to work while standing, and you can adjust its angle to your liking. 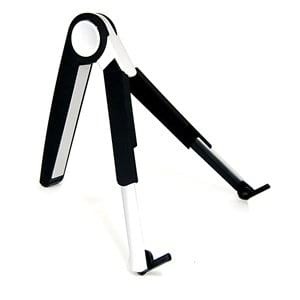 If you are in a live environment, the tripod base on this stand plus the double locking protection will make the stand extremely difficult to collapse on its own or even from a little nudge from a passerby. It's sturdy, reliable, and portable. Perfect for our situation here. How Does the Roost Fairs Against Competition? 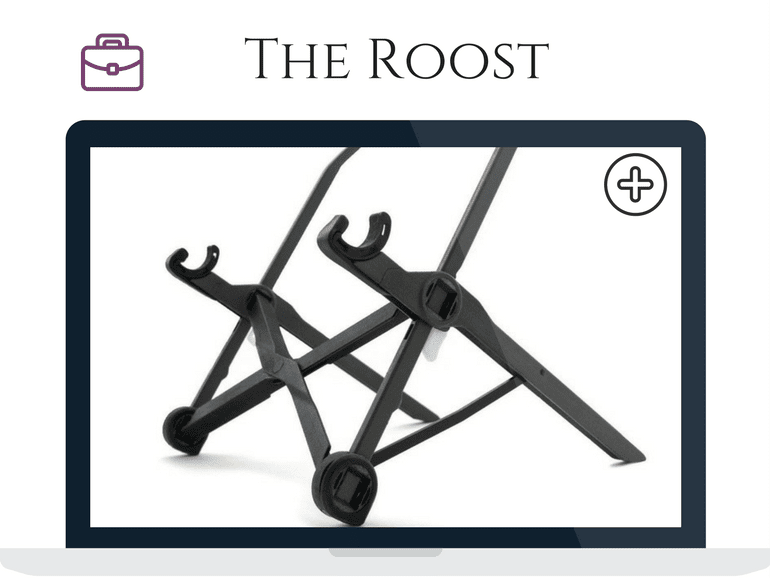 The Roost is the original laptop stand of its kind. It started on Kickstarter and has had great success there. When you have an awesome product like the Roost, which is extremely portable and ergonomic, to say the least, be ready to see others trying to copy you, and sometimes even succeed in doing it, because even if the quality is considerably lower, they price it so low as to make you genuinely confused between the two. There are a few stands out there that copied the design of the Roost stand, most notable are the Nexstand and Urbo. Tim, a reviewer on Amazon, has purchased both the Roost and Nexstand and wrote a tremendous comparison review between the two. I tried to contact him asking if he could do me a favor and write a new comparison review for our blog, he still hasn’t responded. So, I’ll try to rewrite his comparison results in my own words here. NOTE: All the images in the comparison review below are taken from Tim’s review on Amazon. All credits go to him. The Roost is more compact than Nexstand and when folded, it's about 1" smaller. When expanded, the Nexstand clearly looks bigger and suggests that it's the more durable, sturdy one, but in reality, the Roost is just as sturdy if not maybe more. 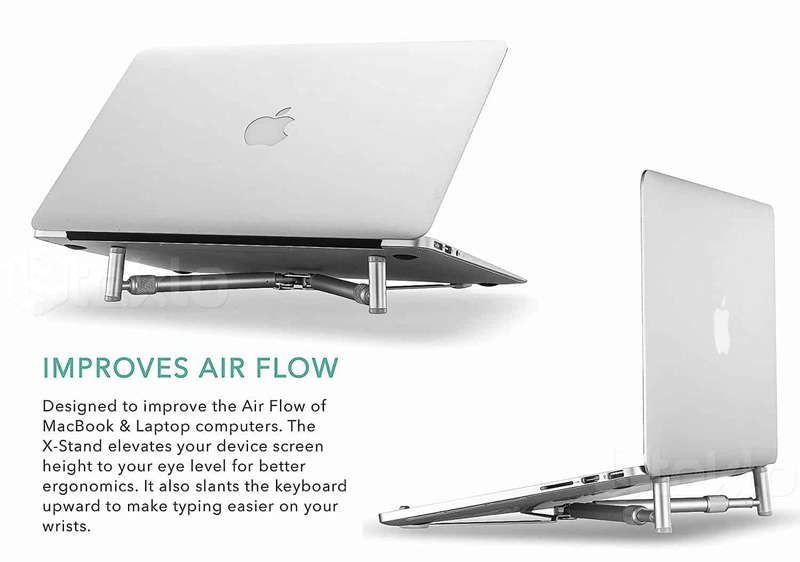 The front clamps offer the necessary support to prevent the laptop from falling over, even when tilted to the sides. The Roost uses rubber front padding, which is more gentle on the contact points and does not scratch, whereas the Nexstand use purely plastic clamps. The Nexstand also has slightly bigger clamps which imply that it could fit a bit bigger laptops. 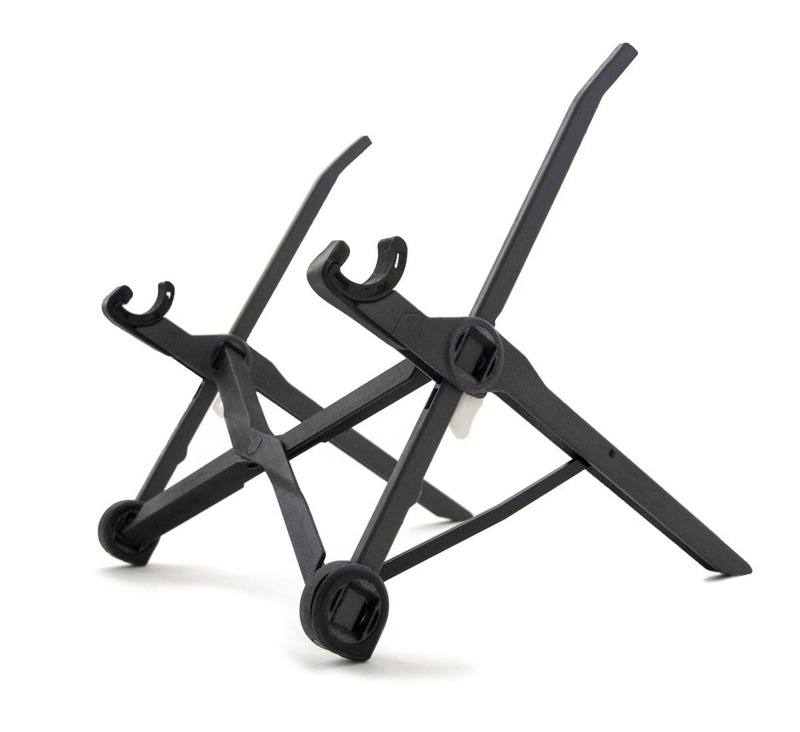 In terms of quality, the Roost's front clamps are superior. The back rests provide the second contact point between your device and the stand, and they too provide support and stability. Roost uses a long rubber pad which covers a much bigger area than that used by the Nexstand, which again better protects your laptop from scratches and is much softer. The front legs hold the laptop's weight, so it's very important that they're made with care and lots of thought, because you want your workstation to be as much stable as possible and not collapse uncontrollably or wobble. The Roost again uses rubber padding here, which sits on the surface much better and more stable, while the Nexstand uses all plastic which isn't as stable as with rubber padding. Clearly, the Roost wins here, no doubt. Prices on Amazon always change, so I'll be talking with "ranges" of prices instead of precise prices. You can always go to my reviews, click on the images/links and go to each product and check the price there at the same exact date. The Roost's price range: $65-$70. The Nexstand's price range: $30-$35. The difference in quality is obvious in the difference in the price tags. 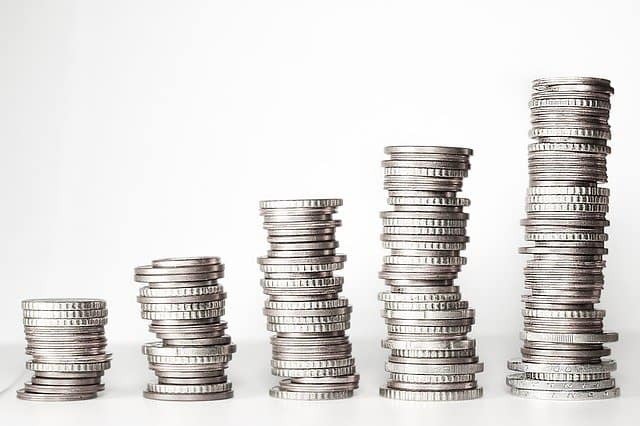 It's very obvious and clear that the stand is designed with much more thought and constructed better, and thus the price is much higher than the Nexstand and other competitors. With that said, I still believe that the price could be a bit lower, maybe in the $40-$60 range would be more reasonable. The Nexstand still is a decent stand, don't get me wrong, so if the price of the Roost turns you off, Nexstand still offers a decent quality for the price. But if price is not the problem, then without a doubt go for the Roost. Let’s face it. Laptops are ergonomics nightmare. 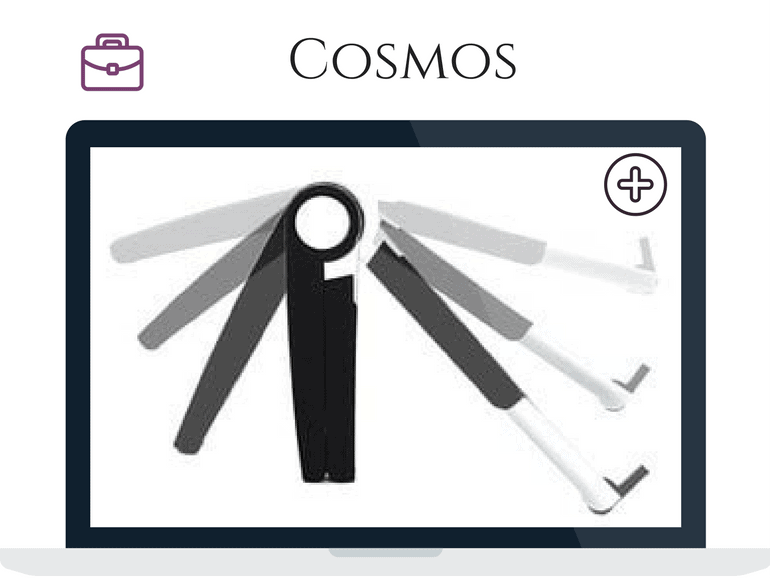 They are designed to be portable, compact, but not ergonomic. If you want to transform your laptop workstation into a proper ergonomic workstation, start with the laptop stand. 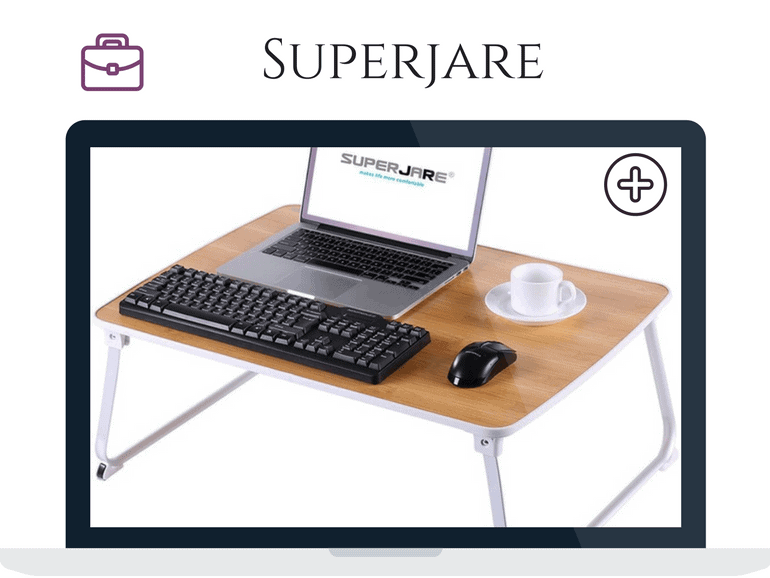 Of course, there is the desk, the chair, the footrest and so on, but starting with the laptop stand allows you to adjust the height of your laptop’s screen to match your eye level, which creates the condition of a good posture to ensure a healthy neck and back. 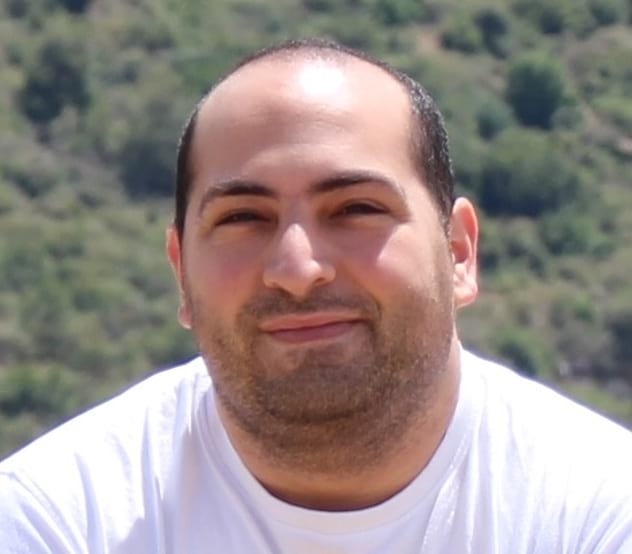 Hi, I’m Elias and I’m the founder of this blog website here. I’ve always worked behind a desk, either in the office or in the lab, as a practical electronics engineer throughout my career, and still do. Ergonomy has always been a concern and an interest to me because I’m always confronted with it on a daily basis. 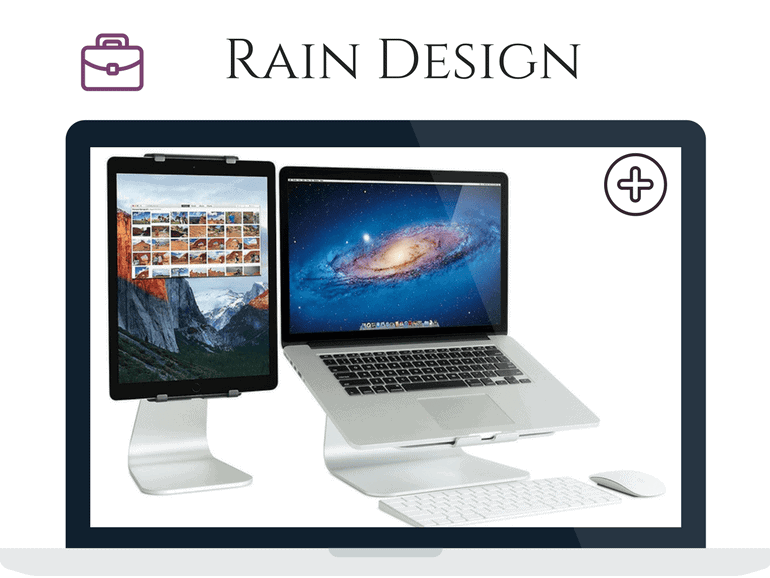 If you’re a laptop owner, or a MacBook owner, and you find yourself working on it several hours a day, it’s imperative to own a portable stand that’ll enable you to work healthily and correctly without damaging your body. 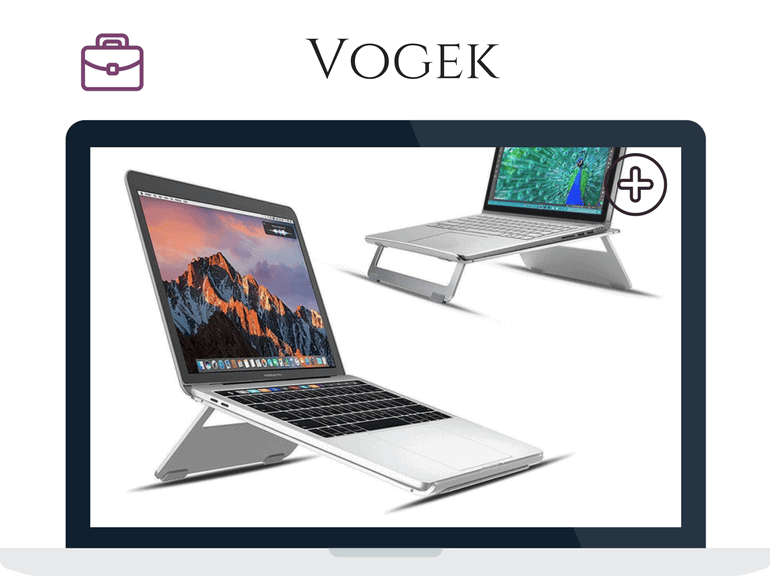 I hope with this website to give you the best knowledge and reviews possible of the best ergonomic portable laptop stands, to make it easy for you to choose a stand that perfectly fits your needs. If you need any help, an opinion, a suggestion, or want to contact me for any manner, please follow me on the social media (Through the links below) or send me an email to elias@portablelaptopstands.com, or simply use the contact form. If you have any questions or something to say to us, you can use the form below to contact us.